The laptop is one of the most important and expensive elements we used in everyday life to do our personal or office tasks. Different professional needs different type’s laptop to do their tasks smoothly. As the laptop is expensive and important for you, so you must take care your laptop and keep it safe from any kind damage. Generally, we use a backpack to carry our laptop safely where we go. But finding a perfect backpack for larger size laptop is really not easy. Most of the business persons, photographers, travelers, gamers need to use a large size laptop (17 inch laptop in most of the cases) and they also need to carry other files, documents tools or accessories. 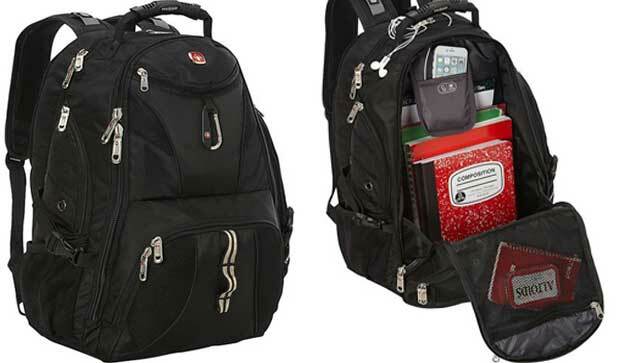 So here, we are going to share some top and best 17 inch laptop backpacks. 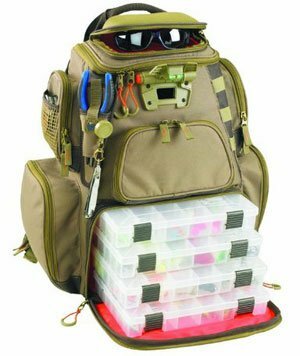 All of the backpacks in this list come with a padded and dedicated 17 inch laptop compartment, large packing capacity and some other features. And also, you can buy any backpack at a reasonable price. 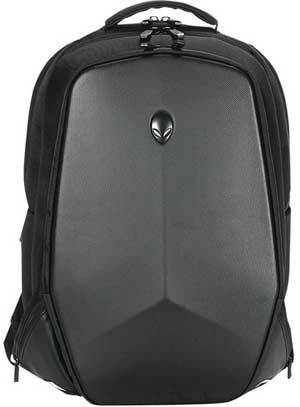 So let’s check the list and find your favorite 17 inch laptop backpack now. The AmazonBasics Laptop Backpack is one of the best-selling 17 inch laptop backpack on Amazon, which designed to carry your laptop and other essentials safely while move. The large main compartment comes with a padded laptop compartment and enough space to carry files, documents, books, binder and other essential contents. 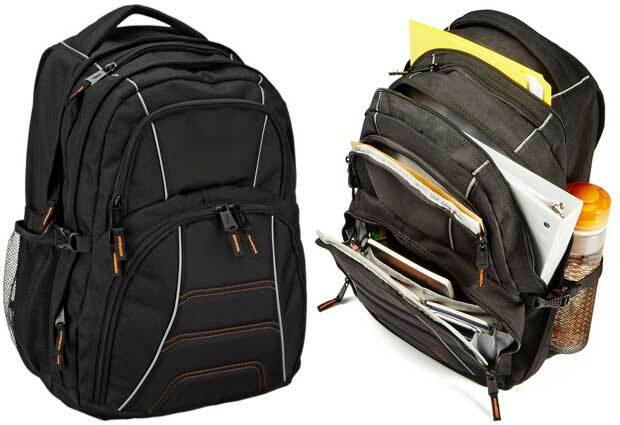 There are additional two large zippered compartments available in the backpack for files, binders and accessories. The laptop compartment designed to fit up to 17 inch laptop or notebook and keep it safe from a drop or hit damage. 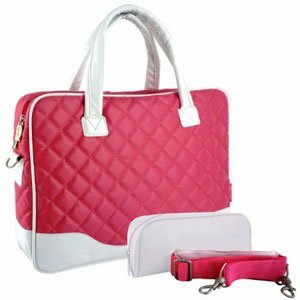 The organized zippered top and bottom compartment comes with several sleeves and small pockets to keep business cards, keys, pens, media player, cell phone, charger and other electronic gadgets. Two mesh side pockets to carry water bottles, umbrella or beverage items. 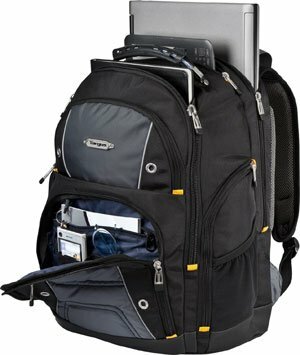 The Targus Drifter II Backpack is another great backpack that is perfect to carry a large size laptop and huge contents. The backpack comes with stylish and fashionable design with 4 different colors. The padded laptop compartment holds up to 17 inch laptop. As the laptop compartment is located in the back side, so the padded and foam protected back panel also helps to keep your laptop safe from any kind physical damage. We noticed that, the Targus Drifter II comes with multiple zippered compartment, pockets and file storage to carry huge contents. 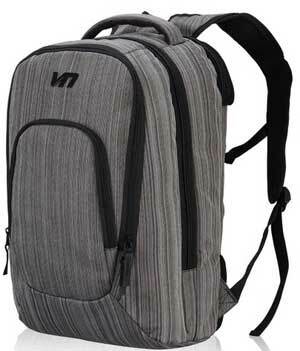 This is an ideal backpack for college students or travelers who need to carry huge books or travel essentials. We also noticed two side zippered storage in this backpack with easy to access feature to keep your tools and gadgets. The top zippered pocket also comes with quick access feature to keep your mobile phone, passport, tickets or sunglasses. 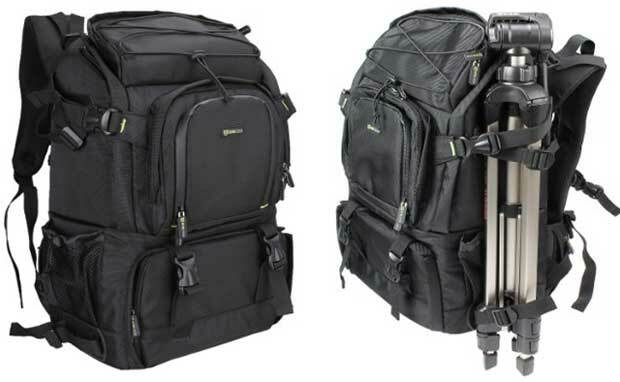 If you are a random traveler and owner of a 17 inch laptop, then you may look for a 17 inch laptop backpack to carry your laptop and luggage’s. 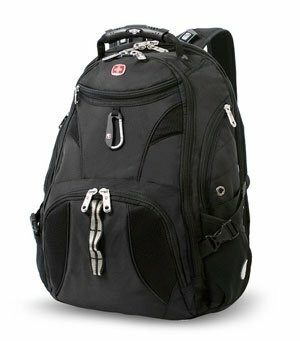 Travelers also looking for a checkpoint friendly laptop backpack that is perfect to pass the airport security area easily and quickly. 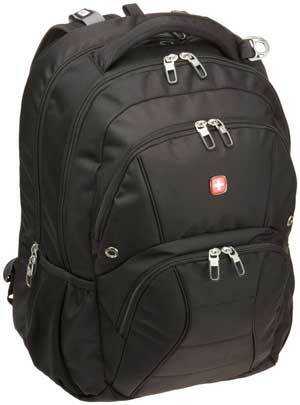 So, if you are one of them, then SwissGear Travel Gear ScanSmart Backpack 1900 is the ideal one for you. The backpack designed for travelers to carry their essentials easily and safely. As the padded laptop compartment comes with side entry feature, so you can easily remove the laptop from backpack without taking it off from your back. There is also a floating tablet pocket available in the main compartment with superior protection. The adjustable and padded shoulder strap ensures maximum comfort to carry the backpack and comes with a sunglass holder strap. The top padded media player pocket with headphone layout will bring extra pleasure while moving. Gamers need to use a large size laptop and they also use some other gaming accessories. 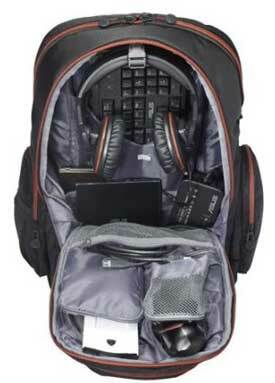 To carry your gaming laptop and other accessories, you need a large size backpack with well-organized compartment. The ASUS Republic of Gamers Nomad Backpack is a perfect laptop backpack for gamers to carry their laptop, gaming console, mouse, headphone, charger and other essential accessories. The padded laptop compartment comes with internal suspension technology to provide extra safety to your laptop. The main compartment comes with huge space, a dedicated hook for headphone and several compartments for keyboards, mouse, camera and other accessories. 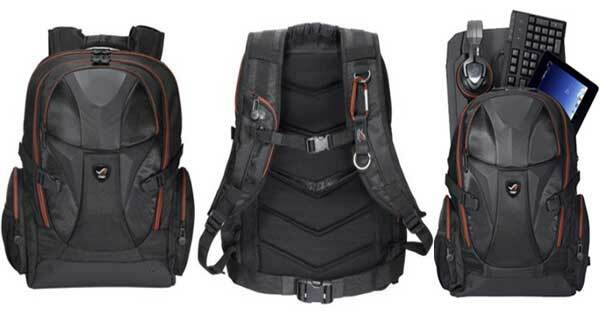 The ventilated padded back panel comes with airflow technology to keep your back cool and provide maximum comfort while carrying the backpack. 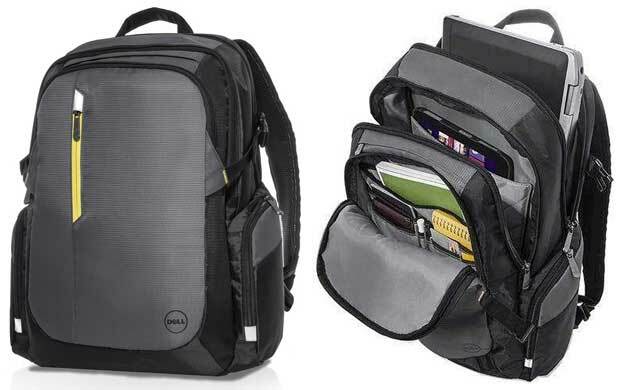 The Dell 17-Inch Tek Backpack is one of the top rated and best 17 inch laptop backpack, which is designed for professionals. The durable and lightweight laptop backpack is perfect to carry up to 17 inch laptop, a tablet and other tools & accessories. The well-organized zippered main compartment comes with enough space to carry files, documents and other business essentials. The top zippered pocket with quick access feature is ideal to keep your cellphone, sunglass or any soft touching gadgets. As the backpack made of water resistant and high quality fabrics, so your expensive content will remain safe in rain, snow, dust or any bad weather. 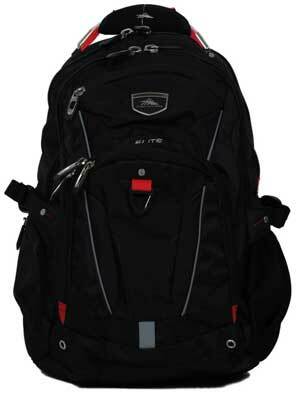 The padded shoulder strap and back panel provides maximum comfort during carrying the backpack for a long time. 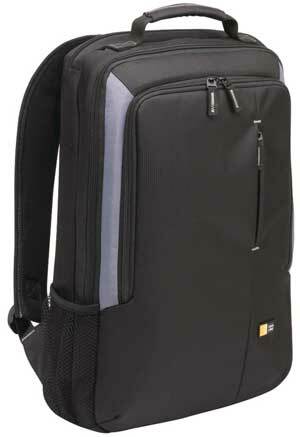 Getting a perfect size laptop backpack will help to protect your laptop and other expensive contents easily. The ideal size laptop compartment holds a laptop perfectly and keep it safe from any kind drop, hit or physical damage. So you must go for the ideal size backpack according to your laptop display size. 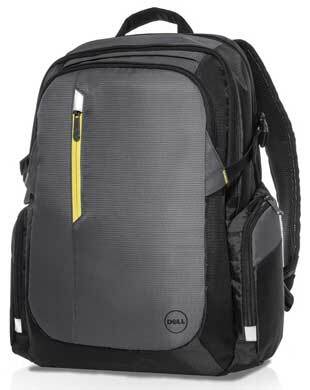 All backpacks in this list selected for 17 inch laptop. 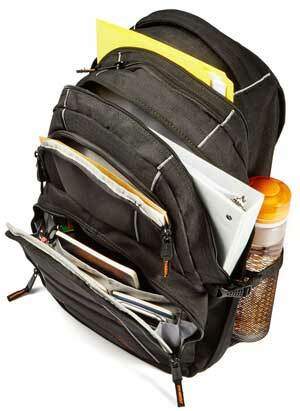 So, hope you already find your desirable and a best 17 inch laptop backpack here. If not, please let us know by commenting below about your favorite 17 inch laptop backpack.